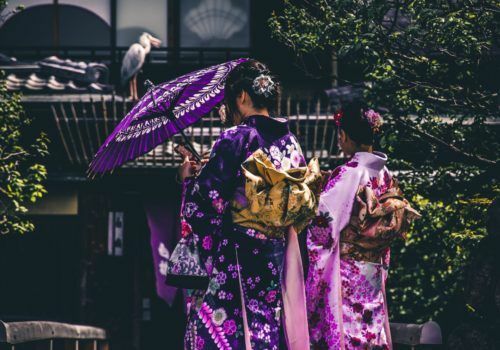 Gay Japan: This beautiful country has a wide, varied history and is a hub for those who seek authentic culture in a world where that is hard to find. Travel from big cities to mountain villages to islands and everything in-between as you take in the rich, cultural heritage this amazing country has to offer on this gay group trip. You’ll arrive in Tokyo where you will make your own way to the hotel (the best way to get there will be advised to you before departure or alternatively we can organise transfers for you). Once at the hotel you will be met by a tour representative who will greet you and make some suggestions of things you can do with the rest of your day. Your arrival day is at leisure to allow you to choose whether to relax after a long flight or go out and explore. By day two you will have already found how much of an interesting, fast-paced and wonderous place Tokyo is. Over the course of the next couple of days you will take in all of the most interesting and famous sites in the city from museums to shrines to monuments and landmarks. You’ll also enjoy your welcome dinner during this time at a traditional Japanese restaurant where you will have the opportunity to try some of the more exotic foods you may not have tried before. Today you’ll board a train from one of the largest stations in Tokyo where you’ll be taken to one of the more rural parts of Japan. You’ll be staying in Takayama – a traditional, humble mountain village, far away from the hustle and bustle of the city, where you’ll find much more of Japan’s ancient heritage and history through the old buildings and ancient streets. You’ll make your way into the town where you’ll be able to roam the many merchant shops selling their wares they have produced. For the next two nights you’ll be staying in a Japanese ryokan where the beds are typically Japanese futons on the floor (believe it or not, these are very comfortable!). Your evening is at leisure and is the perfect opportunity to relax in the hot spring pools at the hotel. The next day you have the opportunity to explore more of the quaint little village. Wander around the roads and see what lies on each corner, explore the mountains on one of the mountain hike trails or even hire a bike to explore the area a little differently. In the morning you’ll travel by trains from Takayama to Okayama where you’ll take a local train to Uno port and a ferry to Naoshima Island. The journey is all worth it once you see that you’ll be staying at the Benesse Art Site – a hotel, museum, art gallery, park hybrid that has been heralded by publications like the New York Times for its inventiveness. The aim of this hotel is to live amongst Japanese art and nature away from the loud noises of the city and achieve a feeling of ‘wellness’. For the next couple of days you will get to explore everything that makes this site unique including the beautiful gardens, impressive architecture and sculptures, scenic views and intriguing art. You’ll also enjoy dinners at two high-quality restaurants whilst on the island. Whilst you’re here you’ll also enjoy a visit to Chichu Art Museum which focuses on the relationship between people and nature. It is a small museum, holding only 8 pieces of art, but these include works by Claude Monet, Walter De Maria and James Turrell with one being more of an interactive walk-through experience. Today is your next day of travelling. You’ll move on from Naoshima Island and you’ll travel by bus, ferry, train and a bullet train through different Japanese cities until you reach the city of Kyoto – the former capital of Japan which is famous for its beautiful gardens, an abundance of temples and stunning palaces. Once you have arrived you’ll make your way to the hotel where you’ll be filled in on the plans for the next few days. After enjoying your breakfast you’ll embark on a day of sightseeing. Kyoto is a fascinating place where the big city lives hand in hand with its traditional past. Firstly you’ll visit Kinkakuji temple which is one of the most popular tourist attractions in Japan. This temple is covered in gold and has previously burned down multiple times, repeatedly being restored to its former glory every time. The surroundings add to the natural beauty of this structure – overlooking the lake this is definitely a place to get a few pictures! From here you’ll make your way to the Ryoanji temple where you’ll find the famous Zen rock garden. The exact date the garden was created, as well as its purpose, is unknown and has puzzled people for generations. However, it is interesting to note that, when looking at the stone structures, at least one rock is always hidden no matter where you stand. 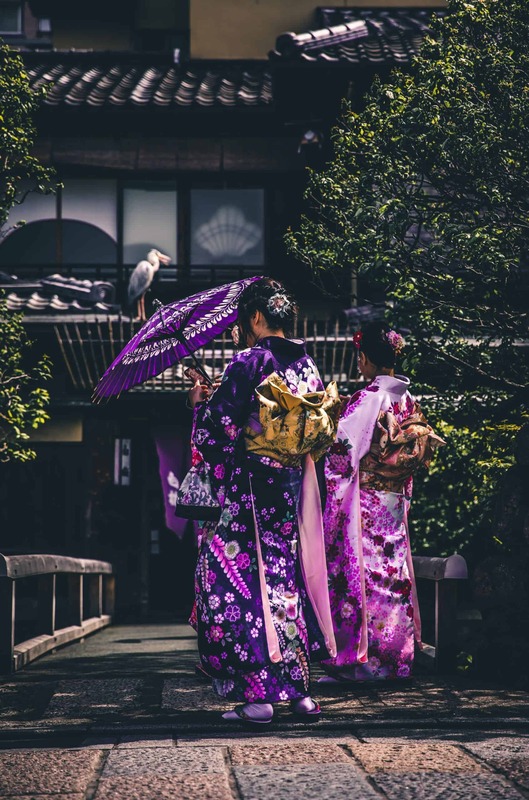 You’ll also take in the UNESCO world heritage site of the Tenryuji temple which is said to have the oldest gardens in the whole of Kyoto, dating as far back as the 14th century. Today you’ll travel to the outskirts of Kyoto to the famous Miho Museum. This museum is a spectacular work of art, built mostly on the inside of a mountain and blending into its forest surroundings. Aside from being architecturally impressive, the works of art, antiques, ancient artefacts and more are all equally impressive and contains wondrous collections of ancient civilisations from around the world. You’ll enjoy lunch as a group before returning to Kyoto. After exploring Kyoto for a couple of days, you are at leisure. Enjoy some shopping, explore some more of the cities many temples and shrines, explore the botanical gardens or simply relax. Today is the day you must say goodbye to your fellow travellers and make your way to the airport for your flight home. Optionally, you can choose to add on a couple of nights either staying in a Zen monastery or in Hiroshima.